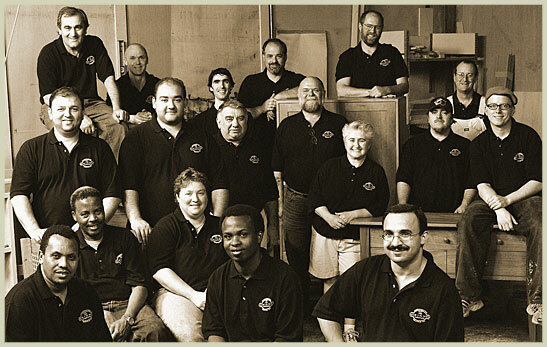 The fine group pictured above make my favorite furniture in the world, McKinnon Furniture. Sheila McKinnon, the lady in the middle of the picture, has been making furniture for more than twenty years in my home town on Seattle. I have written about McKinnon before, but you will be able to learn a lot more about McKinnon soon because you will be able to view a video my friend Johnathan and I shot at McKinnon within the week here on the blog. You will see beautiful furniture being made at the McKinnon wood shop here in Seattle. On the “more furniture good news” front, Made in America furniture like that made by Sheila and her crew is becoming more popular on our shores by the minute. So if you are in the market for beautiful, stylish and competitively priced furniture, visit McKinnon’s and Hallagan’s websites. 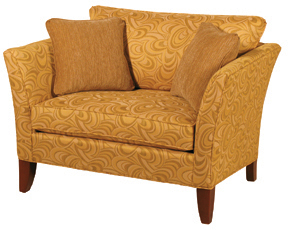 You will find the furniture you want and will have the added benefit of knowing that your purchase will provide employment to members of our extended American family working in Jersey and Seattle. 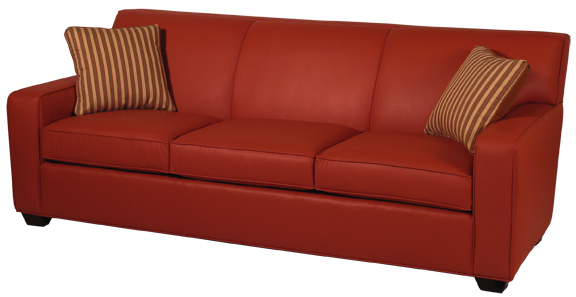 And if you live in Washington State, stop by the McKinnon showroom down on Western Avenue in Seattle. McKinnon’s awesome floor sample sale is going on right now. Yes, right now! Now get shopping! This entry was posted in american made, Furniture, Made in America, made in usa, Seattle, shopping and tagged Furniture, Hallagan Furniture, Jersey, Made in America, made in america products, Made in the USA products, made in usa, McKinnon Furniture, Seattle, United States. Bookmark the permalink.